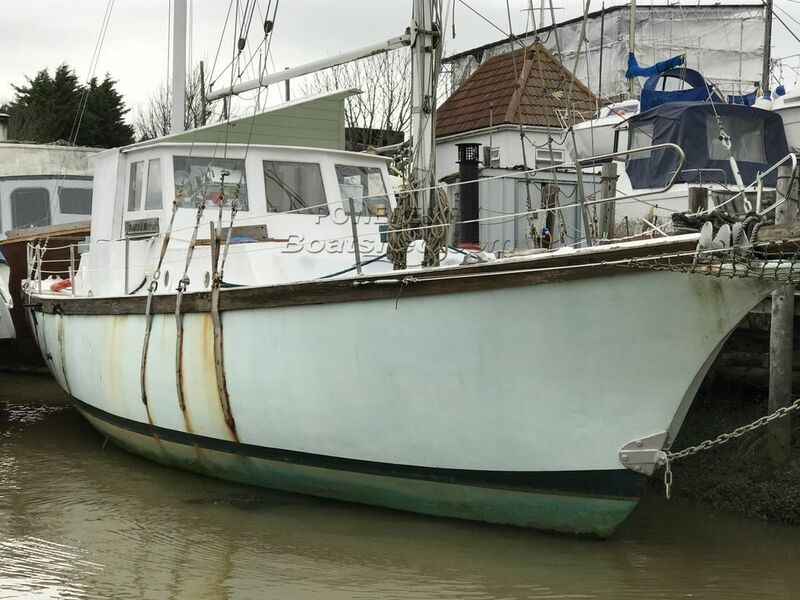 This boat is currently used as a live aboard by her owner and lays upon a residential berthing, that costs £400 pcm, plus council tax and water. She's very well placed for quick and easy access to Brighton, as well as the surrounding countryside and the owner tells us she forms part of a peaceful live aboard community. Her accommodation is roomy, neutrally coloured and offers two great sized cabins, a galley and a wet room - she has fantastic head room in her saloon and this all lends to the feeling of light and uncluttered space. As with lots of vessels of this type, she does need cosmetic attention and the need for maintenance will continue. Her age and dimensions approximate, no proof of VAT payment is held for this vessel. This Ferro Cement Ketch has been personally photographed and viewed by Tim Kingston of Boatshed Brighton. Click here for contact details.